DNA tests directed at humans, like 23&Me and Ancestry, provide immense levels of detail about your genetic makeup. Embark does the same for dogs. This test is all about depth, covering family history going back to your dog’s great-grandparents, risk assessment for over 160 diseases and even isolating the genes that define your dog’s physical appearance. Unsurprisingly, the test has a strong academic pedigree behind it, boasting a research partnership with Cornell University’s College of Veterinary Medicine. According to customers, the Embark Dog DNA Test Kit is truly comprehensive, using over 200,000 genetic markers and providing a broader range of information than most other tests on the market. The exact genetic makeup of mixed breeds can be a bit of a mystery. If you’ve ever been eager to solve the puzzle, a DNA test like this one from Wisdom Panel could be just what the doctor ordered. Developed specifically for mixed breeds, this test provides a detailed look at the various breeds that make up your dog’s family tree. This insight sheds light on various behaviors you might’ve noticed, like excessive barking or digging holes in your backyard—and leave you better equipped to deal with them, as well as create a tailored nutrition plan that suits your mixed breed’s specific needs. Customers praise the detailed results of the Wisdom Panel Mixed Breed DNA test, saying they’re especially useful for owners of shelter dogs who may not know much about their dog’s breed type. Like most tests on this lists, it’s incredibly easy to use, requiring only a simple cheek swab. DNA tests can be expensive—canine or otherwise. But DNAffirm offers an accurate option for dog owners who want to learn more about their pup without breaking the bank. This simple swab test gives customers a detailed breed breakdown, providing powerful insight into behaviors, health concerns, and more. This information will prove invaluable to any pet owner. And at such a low price, it’s one of the most affordable dog DNA tests on the market. Customers say the test is simple to perform—and while it doesn’t have the comprehensive quality of more expensive tests, the results are accurate and it can’t be beaten for the price. One of the biggest benefits of dog DNA tests isn’t just the novelty factor of learning your dog’s exact breed makeup. It’s what that information lets you do, namely when it comes to identifying important medical conditions. This test from IdentiBreed takes that concept further, giving owners answers about whether their dog is disposed to over 160 health conditions, like glaucoma, degenerative myelopathy, and dilated cardiomyopathy. These details allow owners to plan for the future and help their dogs maintain a healthy lifestyle—and to that point, the test also rates dogs’ sensitivity to 125 foods and environmental factors. While the results can take some time (bank on around four weeks), customers say they’re worth it. Many say it’s especially useful to get more insight into their dog’s allergies, giving them the knowledge to avoid certain foods and plan for specific situations. The company’s great customer service also gets a shoutout. Your dog’s nutrition matters. Standard diets can trigger allergies and indigestion for some dogs, making your choice of food a crucial one for their health and happiness. 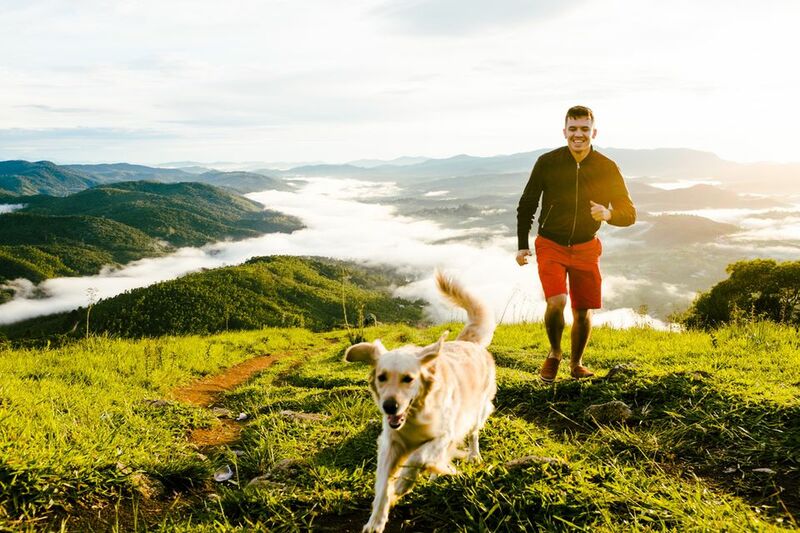 A DNA test can provide valuable background to help you make that decision, and the Orivet Dog DNA Test offers a variety of information about how to tailor your dog’s nutrition to their specific set of needs. The test’s Customized Life Plan includes nutritional recommendations based on your dog’s breed type, along with suggestions about how much activity they should get each day and some common health problems to look out for. Customers say great things about the Orivet Dog DNA Test, saying the test is easy to use—the fact that the swabs are on the end of a large stick makes it a snap even with fussy dogs. They say the results are invaluable when it comes to ensuring your dog enjoys a long and happy life. If there’s one common complaint among customers of dog DNA tests, it’s that the results often take a fair amount of time to arrive—sometimes upwards of a month. But with this test from DNA My Dog, results arrive in two weeks or less. That’s not to say it skimps on detail, either. Like many competing tests, it provides plenty of background on your dog’s breed makeup, predispositions, and other health concerns, as well as the genes that contribute to their unique personality. The test takes less than two minutes to administer, and has a 99.97% accuracy rate. The swiftness of the DNA My Dog test’s results are a significant plus, whether you’re just eager to learn more about your pup or you need to quickly gain insight into a specific health condition or disease. The company also offers stellar customer service, customers say, and the results are spot-on. Want to learn more about the cute mutt you just took home from the shelter? This kit from Find My Pet DNA was developed with mutts in mind, giving owners the scoop on which breeds make up their rescue dog’s particular genetic makeup. Some shelters even use it to give prospective owners additional background on the dog they’re about to adopt. One other perk: Results are delivered via email, making it more convenient than options relying on physical mail to send customers their dog’s report. Like most tests on this list, Find My Pet DNA offers plenty of key details around health, behavior, and medical dispositions, and is conducted with a simple cheek swab that takes under a minute. When you’re adopting a dog who’s breed makeup is less than obvious, a test like this one can prove endlessly helpful as you prepare to welcome the newest member of the family.